When you first come to Treasure Trooper’s website it looks fun and almost like a game. That made me curious to test the site to see, if it is a legit and fun way to make some money or a scam. As the title of this review suggests, you should not be fooled by the fun look of the website and join just because it looks fun. There are some things you need to know before joining. I will go over all these aspects in this Treasure Trooper review, so you by the end of it will know whether it is worth for you to join or not. 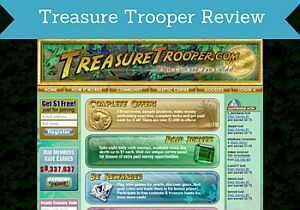 What is Treasure Trooper and what does the site offer? Treasure Trooper is a site where you can earn some extra money by participating in different online offers. Let me reveal right away that it does seem like a legit site, as it is free to join, and I have not seen any real complaints about people not getting paid etc. This does however not mean that Treasure Trooper is worth joining. Before deciding whether it is a site you want to spend your time on, there are some important things you need to know. For example what earning methods the site offers, and how much money you can make there. Let’s start with the earning methods. Treasure Trooper has a lot of different options, but this can be quite confusing. So below I will go over the main options the site offers to give you a better overview. 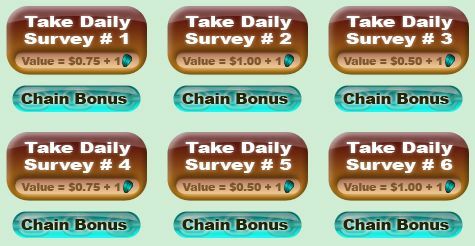 There are quite a few paid surveys you can do on Treasure Trooper. But as with everything on Treasure Trooper, it is overly complicated and not just a simple list with the available surveys. There are three main ways to do surveys: Through what is called Study Storm, through Survey Seeker, and then there is a section with 6 daily surveys. By clicking on Study Storm or Survey Seeker, you get access to a list of different surveys. Be aware that the first time you click, it takes 24 hours to set up, so you cannot start taking the surveys right away. The 6 daily surveys that are one of the ways you can do paid surveys on Tresure Trooper. These are offers where you can earn cash by doing a number of things online. Some of these offers require you to purchase something and then you will get some cash back into your Treasure Trooper account. So this is more saving money and getting cash back, than actually making money. But if it is an offer you want anyway, it might be worth getting a small discount. Many of the cash offers are also just extra surveys you can get paid for. 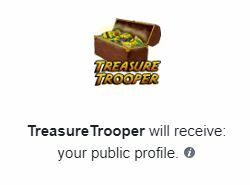 And then there is also an offer when you first join, where you can get a small reward for registering in the Treasure Trooper forum. You can open a search tab and use Treasure Trooper’s search to do the online searches you do anyway. This will not be something that you can earn cash doing, but you can potentially earn some free arrowheads. Yes, I know – another strange concept. I will go more into details later, but in short arrowheads is something you can use to buy for example dragon scales:-). The Treasure Trooper search screen. 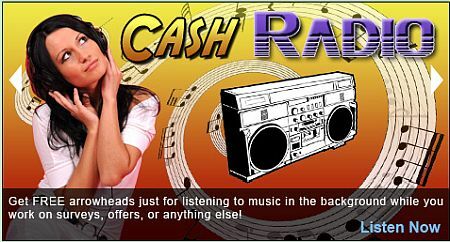 According to the website, you can earn some money by listening to the radio through Treasure Trooper. I am however not sure if this option still exist. Even though it is in the menu on the site, nothing happens when I try to click it. I am not sure if it is because this just does not work in general, or if it is because it is not available where I live. But it has not worked at all for thise 2 months I have tested Tresure Trooper. But even if you are able to use this option, it will not be a lot you can earn this way. So only something that is worth considering, if you want to listen to the radio anyways. By listening, you will not get paid in cash, but as you can see on the picture below, the reward will be arrowheads. There is a portal that gives you access to quite a lot of videos you can watch and earn by doing this. It can be videos about Hollywood stars, food videos, viral videos, movie trailers and more. There are different categories you can choose from. Like the searches, this is not something that will earn you cash. You will earn 1 arrowhead every time you have watched 6 videos. So not really a lot to get, and only something worth doing, if it is videos you want to watch anyways. Otherwise, it is definitely not worth the time. So this is the part where Treasure Trooper is very different from any other survey site and online reward portal I have tested. I mentioned above that you can earn dragon scales. 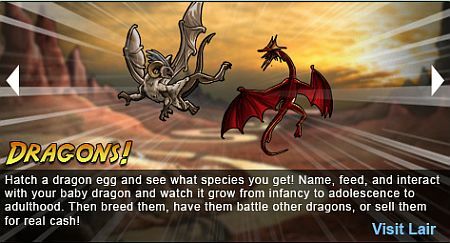 Dragon scales is used to buy dragon eggs and also to buy a lot of different accessories you need to grow and train a dragon once it has been hatched. Why would you do that you might ask? Well that is a good question. But you can grow and train your dragon and then sell it. According to Treasure Trooper, there is unique dragon that can even give you up to $100. I would however not recommend relying on this as it is highly unlikely you will get that dragon. You will also have to spend a lot of time earning dragon scales, arrowheads etc, to grow your dragon, so only really worth it, if you find it very entertaining and do it as a game. But even if that is the case, I would say there are better online games out there:-). A lot of activities on Treasure Trooper are connected to the dragon game. Treasure Trooper has a Facebook app/game. You can install this on your Facebook page and connect it to your Treasure Trooper account. If you choose to use this option, be aware that the app will post Treasure Tropper updates on your profile with your accomplishments. You can customize which updates you want to have posted, so remember to do this, if you decide to install the facebook app. Otherwise, you might end up spamming your own personal Facebook profile with Treasure Trooper updates, which might be a bit annoying for both you and your friends. Treasure Trooper also has some other elements. They are however all build around the same earning principles that I have explained above. You can for example go to an arrowhead dig site. This is a place where you can take offers and do surveys, but only to earn arrowheads. Then there is also the chance to use some of your earnings on pages for a journal or for parts of a treasure map. These will supposedly eventually lead you to treasures – it is however not mentioned what the size of the treasures will be. Is it a cartoon game or a reward portal? As you can see above, Treasure Trooper has a lot of different options on the site. Also, to such a degree that it becomes more confusing than fun in my opinion. 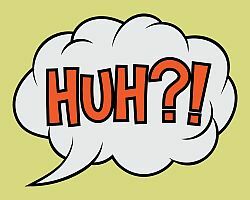 Another aspect that can make it confusing for some and maybe entertaining for others is the cartoon-like graphics on the site. It is almost like being part of a cartoon, and the atmosphere reminds me of a mix of the Indiana Jones movies and Tomb Raider. Even though I like these movie, I personally think this it is a bit annoying in this context and more distracting than fun. But that is of course a matter of preferences. Once you are a member, you will be guided by Clara – a character that looks very similar to Lara Croft from Tomb Raider and the name is even similar. It almost seems like the site is trying to take you into that adventure world so you will get caught up in the tasks and forget about calculating what you are actually earning. Every time you visit a new section on the website for the first time, Clara will pop up and give you a small present in the form of for example dragon scales, arrowheads etc. This is a nice start, but also just a way to get you hooked. An example of Clara giving a gift, when I visited a section for the first time. Personally, I do not like the cartoon look of the site and find it more confusing than fun. But it is a very good distraction, so if you join, just be careful not to get caught up in the adventure world. If you want to join to make money on surveys, there are survey sites that are a lot easier to use and with a lot less distractions. Now you have a good idea about what you can do on Treasure Trooper, and how you can earn. Then what can you do with your earnings? This is another aspect that is a bit complicated. As you can earn several different kinds of rewards and not only cash, you can also use it for different purposes. But let’s start with the cash. Some surveys and offers gives cash rewards. You can get the cash in two ways. Either by PayPal or check. PayPal is however only possible, if you live in the US or Canada. Very strange that PayPal cannot be used for other countries. There are many survey sites that offer rewards through PayPal all over the world, but unfortunately this is not the case for Treasure Trooper. So if you do not live in a few select countries, you can only get paid in check. Be aware that there are often high costs in relation to cashing in a foreign check and costs for currency conversions, so it can be an expensive way to get you rewards. It is however the only way, for many countries. The surveys and offers that does not give cash can give arrowhead, gold coins, platinum coins, or dragon scales. It is very difficult to figure out what these rewards are actually worth. A part of the reason for this is that you have to use them to for example grow a dragon hoping that you will be able to sell it later. A few examples of how you can exchange the different rewards. It is quite complicated what these rewards can be used for. Let me give you a few examples. Gold coins can be used to get parts of a treasure map or journal pages. Arrowheads can be exchanged for platinum coins or dragon scales. You need 20 arrowheads to get 1 dragon scale, and you need 15 dragon scales to get an egg, which is the first step in growing a dragon. The platinum coins can be exchanged to gift cards to for example Amazon or eBay. You get a $20 gift card for Amazon for 20 platinum cards. You can exchange cash into the different virtual currencies, but you can not exchange any of the virtual currencies into cash. As you can see, it is quite confusing to figure out what you actually earn and how to use the different rewards. Personally, I would just go for the cash surveys, and not be bothered about any of the other rewards. But if you think the game aspect is really fun, it can be an option. How much money can you make on Treasure Trooper? It is really difficult to say how much money you can make on Treasure Trooper. The whole site is in general made in a very distracting way that makes it difficult to figure out what you get for your efforts. In a way, it is clever as it can take you into an adventure world, where you are chasing treasures and forgetting about how little you actually get for your efforts. And it is very difficult to figure out because you can trade the different rewards for each other, get treasure maps, get dragon eggs, get training equipment, food etc. for your dragon. So I would say that you should not expect to make very much money on Treasure Trooper, but you can end up spending a lot of time. If you just focus on the cash surveys, it can however give you some nice extra money on the side. Can you use it on your mobile? Treasure Trooper does not have an app for your phone. But you can login on your phone and use it. It is however confusing enough on the computer, so even more confusing on a small screen, so not something I like to do. Who can join Treasure Trooper? No matter what country you are from, you can join Treasure Trooper as long as you are 13 years old. In a way great it is great that you can join no matter where you are from, but one aspect that is not great is that you can only get paid in check, unless you are from a few select countries. So if you are not from one of these countries, this is something you have to consider before joining. When you sign up, you can select whether you want to get paid by check or PayPal. If PayPal is not an option when you sign up, it is because it is not available in your country (which it probably will not be unless you live in the US or Canada). In some countries banks charges high fees to exchange foreign checks, and some countries do not accept them at all. So you have to look into this before joining, so you do not end up spending a lot of time earning, only to find out banks in your country do not accept these checks, or that it will cost you half of your rewards to have it exchanged. So in theory Treasure Trooper is open to all countries, but for many countries it is not a good option because of the payout options. If you can get in contact with support, is an important aspect for any service. I have myself contacted Treasure Troopers support through the support system on the website. And I did get an answer within 24 hours, so that is a good sign. It is always good to know that there is a way to get in contact with a survey company in case there should be any problems with your account, or if you have any questions that is not answered in the forum or the FAQ section. From the above, you can probably figure out that I am not super excited about Treasure Trooper for several reasons. Let’s sum up the pros and cons to get a better overview. 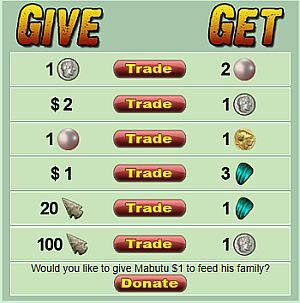 Even though Treasure Trooper is a legit site in the sense that it is free to join, and you can make a bit of money on it, it is not a site I recommend. Only if you like the adventure game atmosphere, but then you should join mainly to take part in the gaming aspect, and not because you want to make money. The site is too confusing and has too many time-consuming features that does not really make you any money but are more distractions in my opinion. If you want to make some extra money doing paid surveys, there are many survey sites that gives better earning opportunities. So if you main goal is to make some money while giving your opinion, you should join some of these instead, and not waste too much time on training a dragon or looking for arrowheads on Treasure Trooper. If you have any questions or comments, or have any experiences with Treasure Trooper yourself, feel free to ask or leave a comment below. Treasure Trooper has a fun cartoon appearance and can be fun, if you like adventure games. But if you are not careful, you can end up wasting a lot of time training dragons, hunting treasures and digging for arrowheads, instead of making money. Overall a very confusing site with very limited earning potentials in relation to the time you have to spend. Just ran across this. I have made over $8000 on the site. I will admit is it a bit confusing at 1st, but they are constantly updating their site with new offers and surveys and the pay is getting much higher. I am not affiliated with the site just wanted to throw in my two cents. The chat room is great it feels like a real community and people help the newbies out. Thank you very much for sharing your experiences. Anyway, I appreciate your feedback and I am planning to re-test Treasure Trooper again soon to see what it has added since last I tested it. TreasureTrooper is a fantastic site with unique contests and promotions centered around Adventure and Treasure Hunting! They have many, many VIPs in the community who have earned $500 or more and are in the middle of a relaunch. Tons of new surveys, offers and the not-so-confusing Dig Sites aka Offer Walls! (Exchange pts for gift cards, easy). October is 100% Referral Commission month so don’t miss out! Clearly you are associated with TreasureTrooper and trying to promote it:-) But still great to get your perspective. My review is based on my experience, and that is that TreasureTrooper is confusing, and you can easily end up spending a lot of time without getting much value for the time. It can be a great site for entertainment, but compared to other sites that has similar earning methods, it does not give very good value for the time spent. But it is great to hear you are in the middle of a relaunch – I will be keeping an eye on the site and test it again once it has gone through the changes. Looking forward to see what it will offer after this. Thanks for letting me know about this. Well that was certainly a lot of information. Sounds to me if you are looking to play a game you found the site for you. But, if your out to make money looks like you wasted your time. This sounds like a site you would want to avoid. I don’t understand what all this scales, arrowheads, dragon balls and all that nonsense. Is there anything worth going on this gaming world for. It doesn’t sound to me like there is much money to be made. Thanks for your comment Rick. 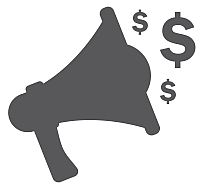 There can be some chances to make a bit of extra money on surveys, if you just stick to the cash surveys and do not get involed in all the scales, arrowheads etc. But for me all the noice and the limited payout options makes it a site I will not spend much time on. Thank you for a review on Treasure Trooper, I was actually going to join this, so I am glad I cam across your review. I thought the dragon game looked quite fun until I read what was involved. Treasure Trooper just looks to me like its a bit of grind. I appreciate that your honest about the things you see. Its so annoying when you think you can earn money with surveys but, fall short when you don’t qualify. Its actually very annoying. I am really perplexed that they don’t take paypal outside the US or Canada. I think I will avoid and I trust your recommendation. Thanks for your comment Freddy. I am also very surprised that they only offer PayPal as an option to very few countries. Seems very strange to me as most survey sites that pays out through PayPal offers it to all the countries where PayPal is available. I have also contacted them to ask, and they told me that they have no plans of expanding the number of countries for PayPal payout. So overall not a site that I want to spend my time on anymore. What a thorough review, I’ve learned enough from you to stay away from Treasure Trooper. It’s odd to me that it’s so cartoony and game-like, especially if the goal is to make money. Maybe they think if it’s fun more people will complete more of the offers. But yeah, if it’s impossible to navigate and the money making potential isn’t clear, then it sounds like a waste of time. Thanks for your comment Penelope. I do think that some people might find Treasure Trooper entertaining but for me there are just too much distractions and to many weird rewards and ways you can exchange, and buy dragon eggs etc. I think that people only find it interesting, if they like playing adventure games and do not care too much about the money making aspect, but anyone wanting to make a bit of extra money will find it a waste of time.